Back in November and December, I watched six movies by Steven Soderbergh and tackled some of his lesser-known titles like Gray's Anatomy and King of the Hill. It was an intriguing marathon that revealed a few big surprises, most notably the remarkable two Che pictures. Now that he's released Haywire in theaters, I figured it was only fitting to extend the marathon to cover his latest film. Like most of Soderbergh's work, it sidesteps preconceived notions and provides a different experience than you might expect. Once again, he's chosen an unknown for the lead role in MMA star Gina Carano. She'll likely do fine in the fight scenes, but does she portray a believable character? Let's check out the questions to find the answers to this and other important aspects of this movie. Mallory (Gina Carano) is on the run from both the government and her former employers at a private military company. Someone has double-crossed her, and she'll do anything to find out who's behind this mess. 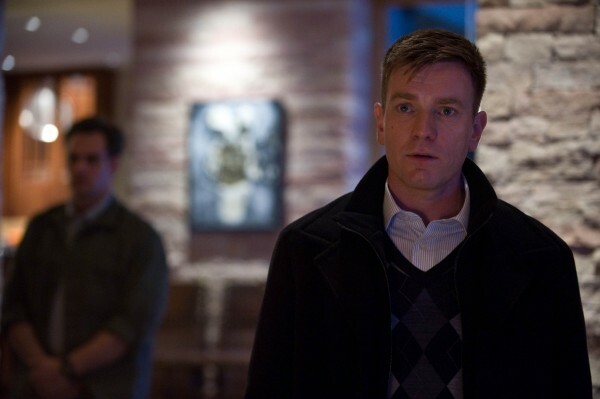 Her former lover and boss Kenneth (Ewan McGregor) is a likely culprit, but someone else is pulling the strings. 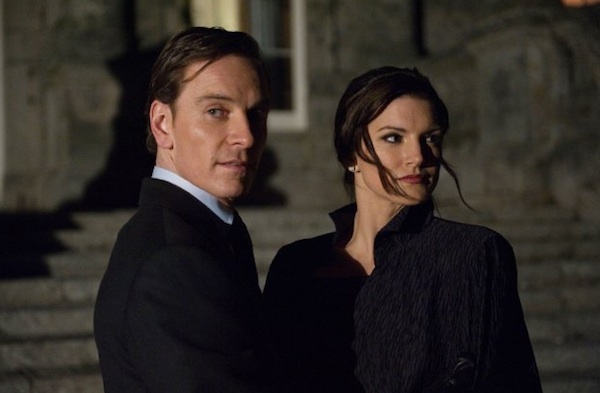 Brutal killers like the hulking Aaron (Channing Tatum) and the smooth Paul (Michael Fassbender) have the green light to take her out, but Mallory is no ordinary target. She's intelligent and extremely skilled in hand-to-hand combat, so these guys had best be wary. Underestimating Mallory could lead them to a quick end. I've found that few Soderbergh films easily fit into a single choice, and Haywire is no exception. On one hand, it's a straightforward action story with a recognizable cast and exciting scenes. However, the script from Lem Dobbs (The Limey) avoids the conventional approach and keeps us in the dark. The narrative shifts around time periods and only slowly reveals who's set up Mallory. Soderbergh also shoots the events from unique perspectives as the cinematographer. The camera sits in odd locations, which keeps us on edge about the next moment. He plants obstacles between us and Mallory, even when important events are taking place. The focus is also off-balance and places the characters away from the middle of the frame. The action is clear enough to avoid confusion, but Soderbergh's clever approach keeps the story moving even when little is happening. Haywire works as a fun thriller with incredible hand-to-hand fight scenes. I won't even try to dig into larger themes that aren't there. Soderbergh and Dobbs aim to deliver a spare, energetic chase film and succeed. Working with Gershon's fighting skills, they give Mallory plenty of chances to beat the stuffing out of anyone who stands in her way. She's not sadistic, but her professional manner of dispatching the enemies is surprisingly direct. One of the best sequences is a brutal hotel room fight with Paul (Michael Fassbender), a smooth but effective killer. When Mallory gets the upper hand, she's doesn't hesitate. Soderbergh delivers a brisk, 93-minute film that contrasts sharply with the overblown blockbusters that dominate multiplexes. Although he's working from a $25 million budget, it feels like a low-budget experiment to take back the action film from Michael Bay and his cohorts. Along with the fights, the big draw is the cast, which includes supporting turns from Bill Paxton, Michael Douglas, and Antonio Banderas. None of these guys has much screen time, but each creates a believable character. 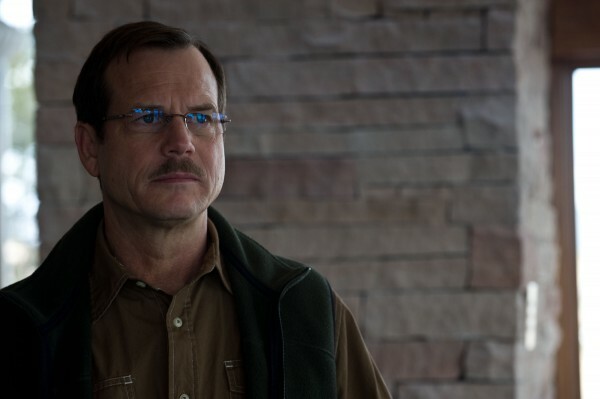 Paxton is excellent as Mallory's father and conveys his trust in her with just a few glances. During the most recent stage of his career, he's shown a depth that wasn't evident in crazier early roles. Even with the strong ensemble, this movie only works if Carano proves that she can act. Her role doesn't require much emotion, but it's still impressive to watch her match the acting heavyweights. Carano is attractive but still convincing as a killing machine. This movie should provide a springboard to a solid career. I should also mention Ewen McGregor, whose character is most notable for his awful haircut. He plays a key role in the plot but doesn't give one of his better performances. The story opens at a diner and gives us almost no information about the two characters that are meeting. Aaron and Mallory appear to be having a fairly sane conversation, and it quickly escalates into nasty battle that involves coffee in the face and serious damage. This scene immediately creates the atmosphere for the rest of the story. Talk is cheap, and the wrong answer can lead to a deadly resolution. All the fight scenes are top-notch and differ greatly from the quick-cutting of the Bourne sequels. It's usually clear what's happening, even when Carano is performing her major acrobatic feats. There also are some interesting scenes that don't involve punching. Mallory's tense meeting with Douglas' government official reveals a possible way out but unspoken menace behind the promises. Paxton's scenes with Carano also work better than you might expect for this type of movie. Haywire falls short of the top tier (Out of Sight, The Limey) of Soderbergh's work but still provides an entertaining ride. There are plenty of examples from his career where he takes a possibly generic story (Erin Brockovich, The Informant!) and makes it a lot more. A perfect example is the abrupt ending, which is almost certain to frustrate many viewers. I can't think of a better way to close out this type of story. The next events are obvious and aren't going to exceed our expectations. It's a risky move for a film that's playing multiplexes, but the people who hate the choice probably won't like the rest of the movie. There's less danger for such a modest budget, and Soderbergh has the pedigree to take the shot. Dropped into the morass of January releases, I expect this film to find a larger audience at home. It's a gem to check out if you're not doing back flips for the Underworld sequel. Thanks Ruth! I hope that you like Haywire if you end up seeing it. I've heard responses that are all over the map (some serious hate), so I'll be curious to hear what you think of it. I just couldn't get into Haywire. Gina Carano might be a great martial arts exponent of the "mixed discipline" variety but her acting left a lot to be desired. It wasn't poor, in fact it was quite good a martial artist but it wasn't good enough. Not enough for me to care anyway. The fight scenes are worth the price of admission so this film is not without its positives but there's nothing for me to return to on second viewing. Dan, I've heard a pretty similar reaction from a decent amount of people, so I don't think you're alone. I can't say that Carano was amazing, but I really enjoyed the film overall. Soderbergh creates an interesting style, and it felt different than a lot of recent action movies for me.